I have a MF 65 that runs good for about 20 minutes. After that it steadily loses RPMs to almost an idle with throttle wide open. Let sit for a 1/2 hour or so and tractor will start up and run wide open for another 20 minutes before it starts slowly losing RPMs. Drained fuel tank and changed filter. Same results? Any recommendations? Tractor ran fine a month ago. Fuel cap vent plugged, no air in means no fuel out. 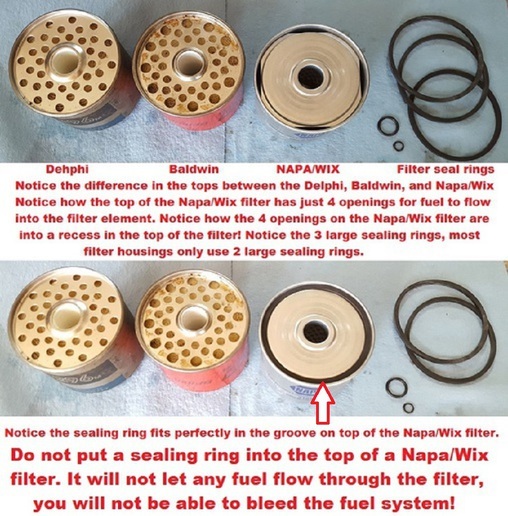 If NAPA/WIX filter, is used, the filter top outer groove must remain open as that's the fuel inlet passage. Common mistake to put an extra O ring there, and restrict/shut fuel flow off completely.. 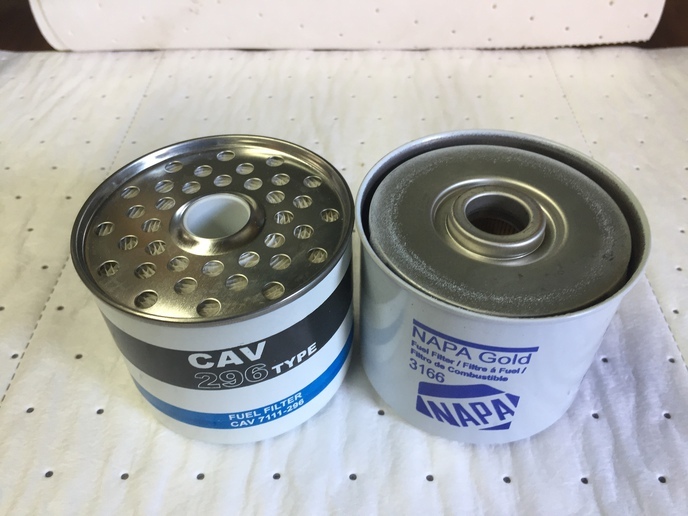 I replaced the filter with a NAPA filter 3166 with no change? I am know thinking maybe an air filter issue as it will run for 20 minutes. Tractor does not lose prime?